When was the last time you cleaned your makeup brushes?… Surprised?… Shocked? ?… Embarrassed??? Well, you should first feel GUILTY! Let me be very clear. Whether you are just an amateur who is trying to master various makeup tricks or a makeup junkie who feels confident about giving Kardashians a tough competition, you should clean your makeup brushes once every week (if not possible to clean them after every single use). It is MANDATORY! 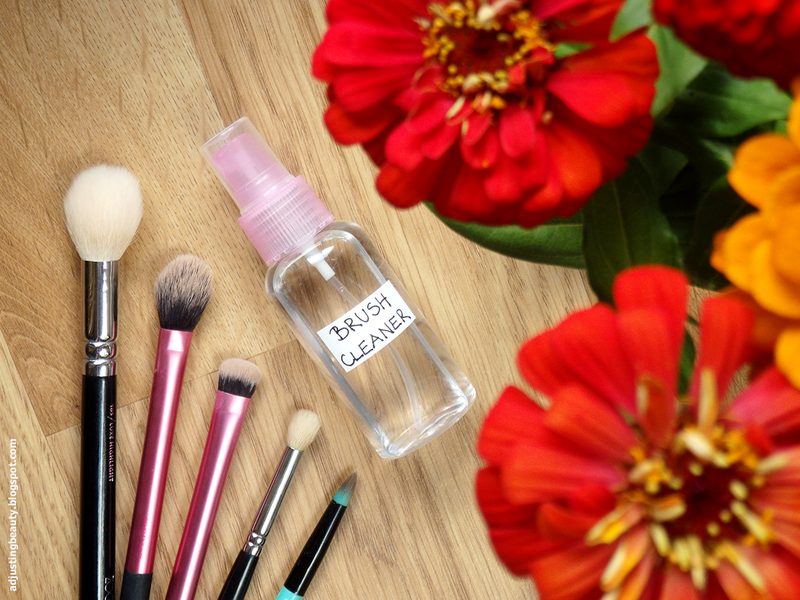 Today, we will talk about how to make cleaning sprays for your makeup brushes at home. 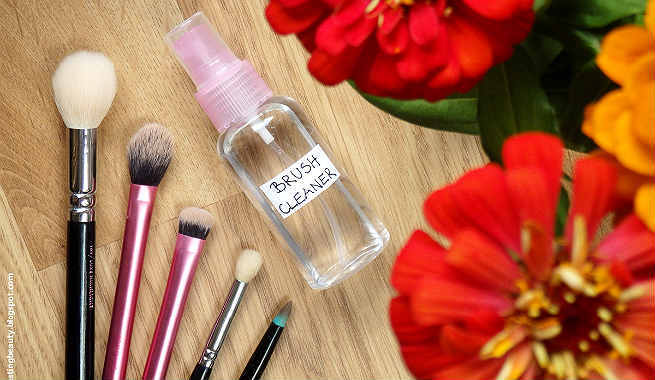 Say the simplest, easiest, and quickest way to keep your makeup brushes squeaky clean naturally and this formula will top the list. Although it dries out fast, you can make your brushes free from blush and eye shadow colors very effectively. 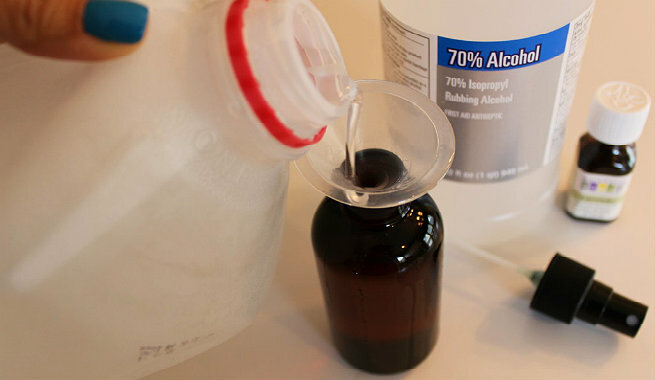 Take the funnel and pour alcohol into the empty spray bottle by using it carefully. Dilute it by adding distilled water. Also, add the fragrant essential oil of your choice in order to reduce the odor of alcohol from the spray mixture as well as increase its conditioning capabilities to a large extent. Give the bottle a good shake and mix everything well. The practice of makeup brush cleaning and disinfecting not only saves those bristles and barrels but also saves our skin. This is a modified version of the previous cleaning spray recipe. It uses baby shampoo as a mild surfactant in order to create a little lather while cleaning the makeup brushes. However, the use of essential oil is purely optional here. Pour baby shampoo into the clean and empty spray bottle. Add pure ethanol and distilled water to it with the help of the funnel. Be careful about spillage during this step. Now, add your favorite essential oil and close the cap of the bottle. Shake it well to combine all ingredients nicely. While the purpose of using essential oil in previous two recipes was cutting down the smell of alcohol, this one is totally based on its goodness. It is one of the best natural cleansing sprays that turn makeup brushes spotless by using the cleansing properties of essential oils. Pour distilled water into the spray bottle carefully by using the funnel. Add the drops of tea tree essential oil and lavender essential oil to it. Put the cap on the bottle and give it a good shake so that a nice essential oil blend is prepared. Shake your spray bottle before each use. Spritz 4-5 times or more on the brushes according to their length and the volume of their bristles. Do not forget to wipe the spray off the brushes with the help of a washcloth / paper towel / tissue. Always dry your wet makeup brushes by hanging them upside down. It is best to keep them overnight in this position. 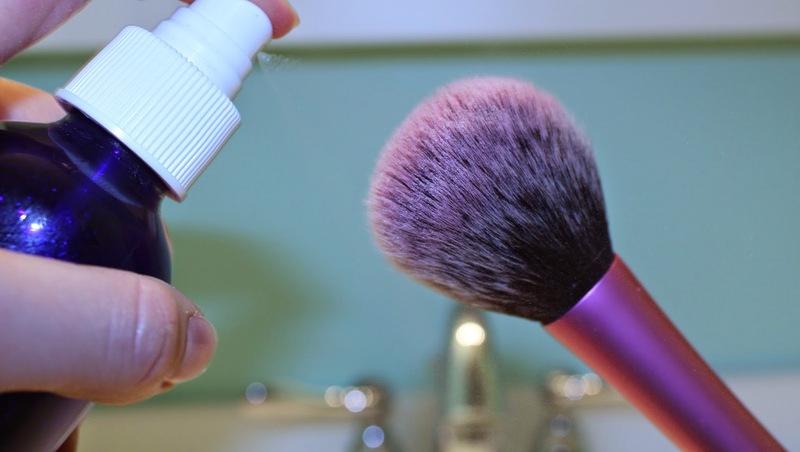 Store your homemade makeup brush cleaning spray in a cool dark place. As homemade cleaning spray does not contain any preservative, do not make it in large quantity. Rather, prepare small batches every week to be on the safe side. 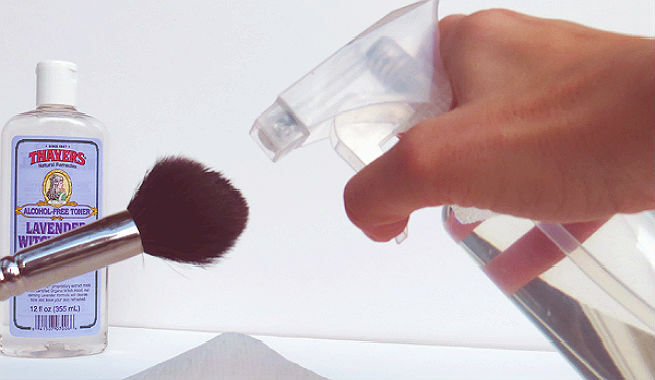 So, isn’t it easier and faster to use a spray cleaner for makeup brushes? Have you also tried it at home?